First buyers got cold feet - their loss is your gain!! Great value here in this gorgeous, well-maintained condo just a stone's throw from Cherry Creek State Park and in the Cherry Creek 5 school district! This roomy ground-level condominium resides in the well-maintained Sterling Commons II subdivision. 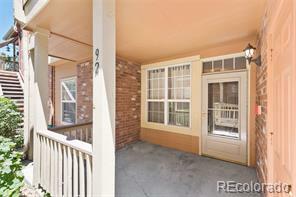 With low HOA dues, it has great potential as a move-in-ready home or an investment. With a couple of smart updates, this unit has great potential for sweat equity. 2-bed|2-full-bath for under $200K!